As much as I love Bioware's style of creating compelling companions and giving the player agency to make choices that ultimately affect the overarching narrative, I have never been able to get into the Dragon Age series, no matter how much I've tried. This might be because I started with Dragon Age 2, and ended when I tossed my controller in disgust at the combat that seemed at turns frustrating and tiresome. 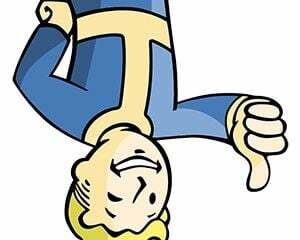 I knew that beyond the repetitive battles there existed a truly interesting story with well developed companion characters, but the spawning waves of enemies seemed like such a lazy design choice and I couldn't forgive the game for wasting my time in that way. 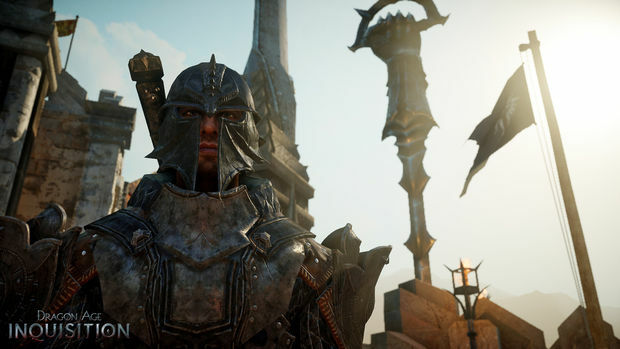 Coming into Dragon Age: Inquisition, I was skeptical of just how Bioware had changed the formula and if the series could appeal to someone like me, spurned by the most recent game and not invested enough in the lore to care deeply about the series to see it through. After a special hands-off demonstration of the newest iteration in the series, I came away not only incredibly impressed with just how different the game played, but also with how well it seems to have hybridized elements of several different genres in such a successful way to renew my interest once again. I may even be convinced to force myself to actually play the second one through, just to appreciate everything the series has to offer. 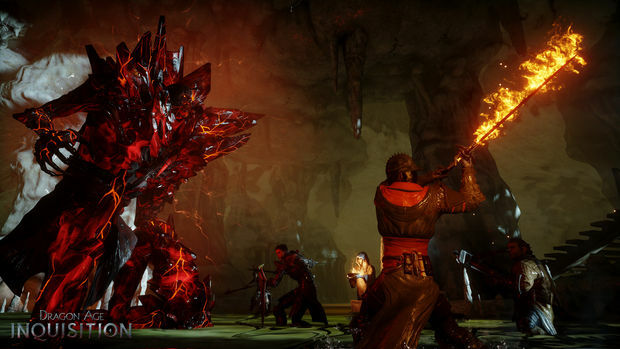 One of the immediately apparent changes in Dragon Age: Inquisition that separates it from the earlier examples in the series is that the game has truly opened up in a significant way. Huge, beautiful vistas spread before you -- and while the world isn't open in the sense that you can wander anywhere, you are given a very large area to explore and the developers are working to encourage exploration as much as possible by figuring out ways to get the player's interest to wander from the main path of their objective. Very soon after this point the Inquisitor and his companions face of a few of the Dark Spawn. While watching our representative take on the opposing force, I noticed that the realtime combat seems incredibly fluid in a way that the earlier games just didn't quite achieve. Also really awesome was a weapon that the player used that worked like Scorpion's Kunai and snatched enemies from afar in such a similar way that I wanted to shout, "GET OVER HEERE" quite a few times during the combat. 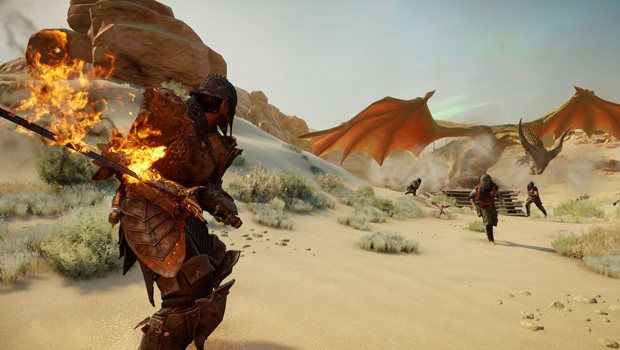 Of course, the player can switch to any character and use their weapons or magic, and some of the other stuff I saw on display was equally cool, such as some incredibly destructive fireballs and Varric's (fixed) interesting looking crossbow ...thing. Bioware has really focused on creating an open and engaging experience by presenting your character with very difficult decisions that affect the game in such a monumental way that whole areas with quest lines may be shut off from you while others open up depending on the choices you make. During the demo, one of the choices presented was to either fortify Crestwood's Keep or help save the town itself (or save both if you have the resources, or ditch both if you feel like being a jerk). The presenter chose to ignore the town as it was attacked and instead fortify the keep. A later cut scene showed the terrible cost of this decision, as one of your companions leans down on one knee to assess the grisly casualties. Much further into the game, you are presented with other choices that open cool new areas for you to explore and are only available to you depending on the earlier decisions you've made. In one such demonstrated instance, a chasm that was once filled with noxious gas can be cleared out and fully explored, but at the cost of opening an entirely different area. Beyond the realtime combat is the strategic element of directing your companions in the battlefield. Much of this has also been vastly improved, as you can pause a battle at any time and direct your group in a fashion that is very reminiscent of games like XCOM. 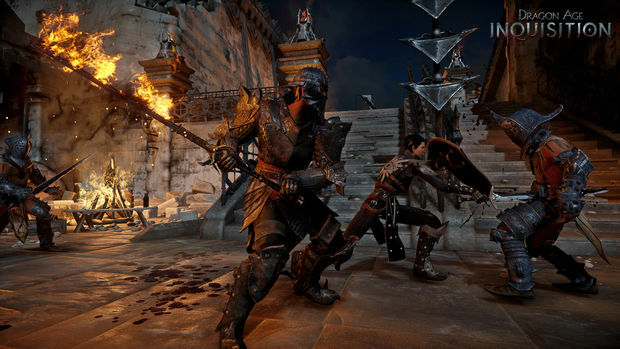 Instead of the frustrating 'realtime strategy' battle system that the earlier games use, Dragon Age: Inquisition works as a game where you can switch up to play as one of your companions on the fly in a way that comes off more like a third person action game. Or, alternatively employ the ability to pause your battle, rethink each member of your groups' actions carefully, set up magical traps, and then launch back into the exciting combat. It all seems to work so seamlessly that battles are no longer tedious slogs with waves of cookie cutter enemies, but experiences that require you to make specific decisions about your approach every time. If there's one thing that Bioware stands for, it's player choice. Nowhere is this more apparent than in Dragon Age: Inquisition. From the seemingly small surface things that are being brought back such as full armor and weapon customization of all of your companions (or choosing a male or even female Qunari as your Inquisitor), to the really big gameplay elements such as character decisions that question your definition of morality, everything that Bioware is creating for Inquisition show that they understand that you are essentially defined by your decisions. Even if they're terrible sometimes.